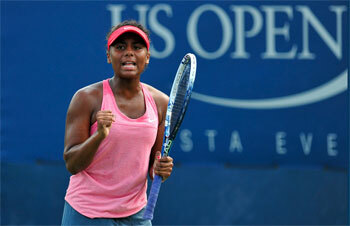 Wimbledon boys' runner-up Stefan Kozlov and US Open girls' runner-up Tornado Alicia Black are among the top U.S. junior hopes accepted into the main draw for the 2014 US Open Junior Championships, held Aug. 31-Sept. 7 at the USTA Billie Jean King National Tennis Center in Flushing, N.Y. The world No. 2 junior Kozlov (16, Pembroke Pines, Fla.) lost to fellow American Noah Rubin (18, New York) in the first all-American Wimbledon boys' title match since 1977. In addition to Kozlov and Rubin, other U.S. boys' hopes include Francis Tiafoe (16, College Park, Md.) and Michael Mmoh (16, Temple Hills, Md.). On the girls' side, Black (16, Boca Raton, Fla.) reached the US Open girls' final last year as an unseeded wild card, and will be a player to watch along with world No. 2 junior CiCi Bellis (15, Atherton, Calif.). Americans filling out the boys' main draw are: Wimbledon junior semifinalist and No. 18 Taylor Fritz (16, Rancho Santa Fe, Calif.); No. 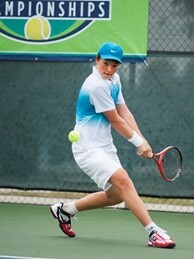 25 Alex Rybakov (17, Coral Springs, Fla.); No. 42 Logan Smith (17, Carlsbad, Calif.), No. 47 Henrik Wiersholm (17, Kirkland, Wash.); and Jared Donaldson (17, Cumberland, R.I.), whose No. 333 ATP ranking leads all Americans. Other Americans in the girls' draw are: No. 29 Sofia Kenin (15, Pembroke Pines, Fla.); No. 30 Usue Arconada (15, College Park, Md. ), No. 33 Dasha Ivanova (17, Beaverton, Ore.) and No. 49 Michaela Gordon (15, Los Altos Hills, Calif.). Florida's Tommy Paul (17, Coconut Creek) and Katerina Stewart (17, Miami) are also in the main draw by virtue of earning wild cards as this year's USTA 18s National Clay Court champions. Previous US Open girls' champions include Coco Vandeweghe (2008), Victoria Azarenka (2005), Marion Bartoli (2001), Lindsay Davenport (1992), Jennifer Capriati (1989) and Zina Garrison (1981). Past US Open boys' champions include Jack Sock (2010), Andy Murray (2004), Jo-Wilfried Tsonga (2003), Andy Roddick (2000), Stefan Edberg (1983) and Pat Cash (1982).